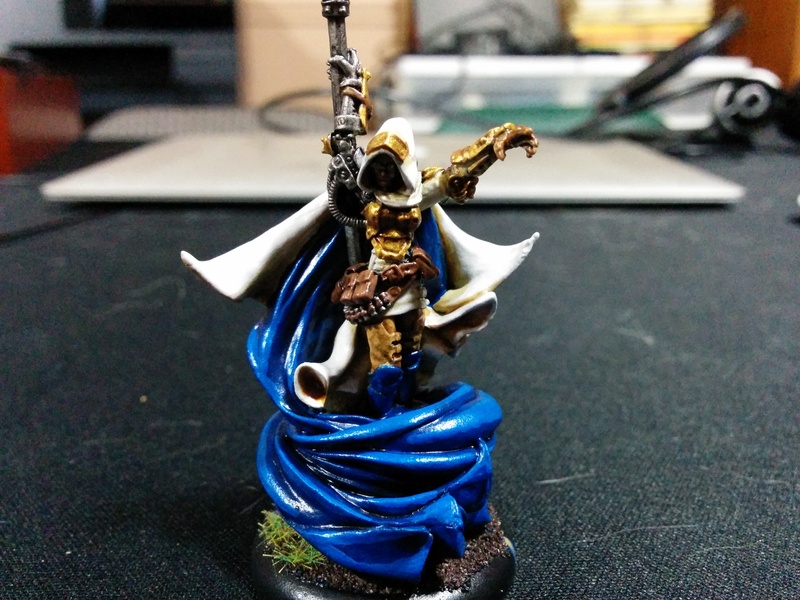 Kingdom of Paintnar: Stryker3 Complete! I think I’ve finally “finished” my Stryker3! The only thing left to do was his shield and his base, which as I’m typing this isn’t finished, but as soon as I *finish* typing this I am going to go downstairs and finish! 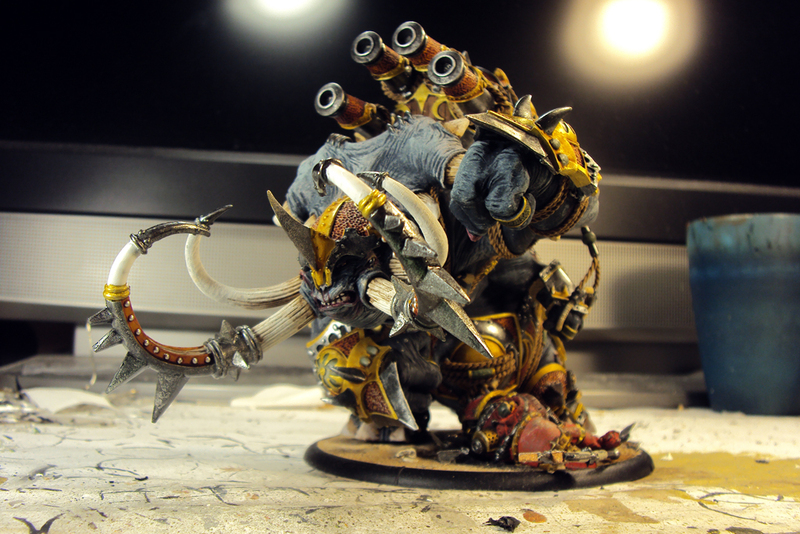 As you can see, I cut off his flag (I hated that flag), and assembled and painted everything else…. aside from the base, and needing to do some final touches on his horse. Kingdom of Paintnar: Just Because He’s D-List, Doesn’t Mean He Can’t Be Pretty! Base coat is about… 75% done at this point. Happy with how he’s coming along, but a LOT of work still to go. But what would Stryker be without his noble horse? Infantry, I suppose… but anyway! More pictures after the cut! 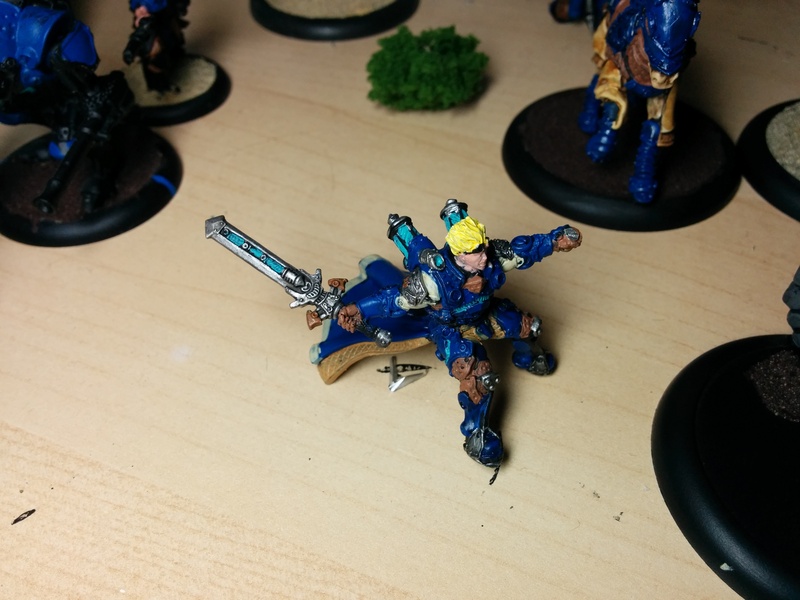 Kingdom of Paintnar: Finished Haley, on to Stryker3! The header basically says it all… over the weekend I finally finished Haley, pEiryss, Aiyana, Holt, and Taryn. They are now sealed and ready to be delivering pain to my opponents! 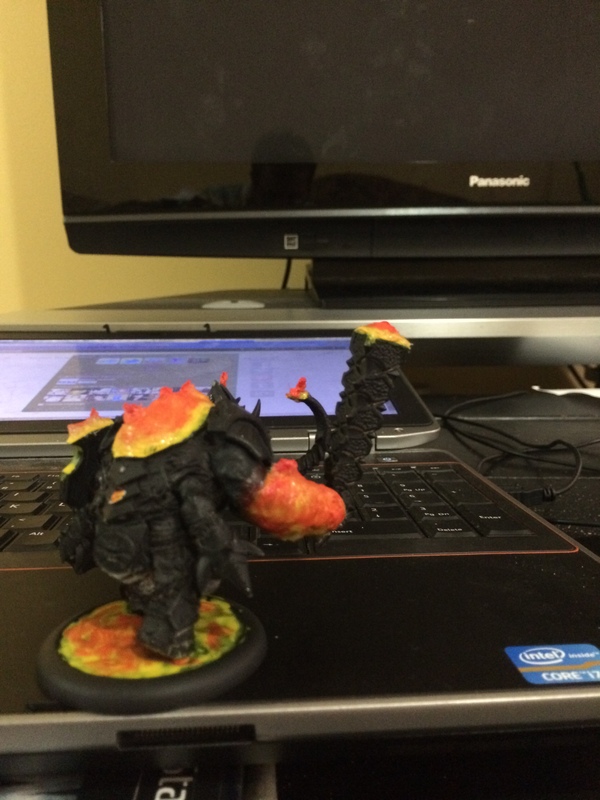 Painting Competition 001 – Combo Smite FTW! Saturday saw me hosting my first ever Painting Competition… I’ve competed in one before (coming in a respectable 5th, which is about what I deserved in my humble opinion), but I’ve never run one before. I wanted to host an event that would be welcoming to beginners, and challenging and fun for experienced painters… actually, mostly I just wanted to get a bunch of really good painters into a room where I could pester them for hours for advice! Success! We’ve recorded a podcast about our (mostly Aaron’s and Nick’s, since I am the scrub out of the three of us when it comes to painting!) 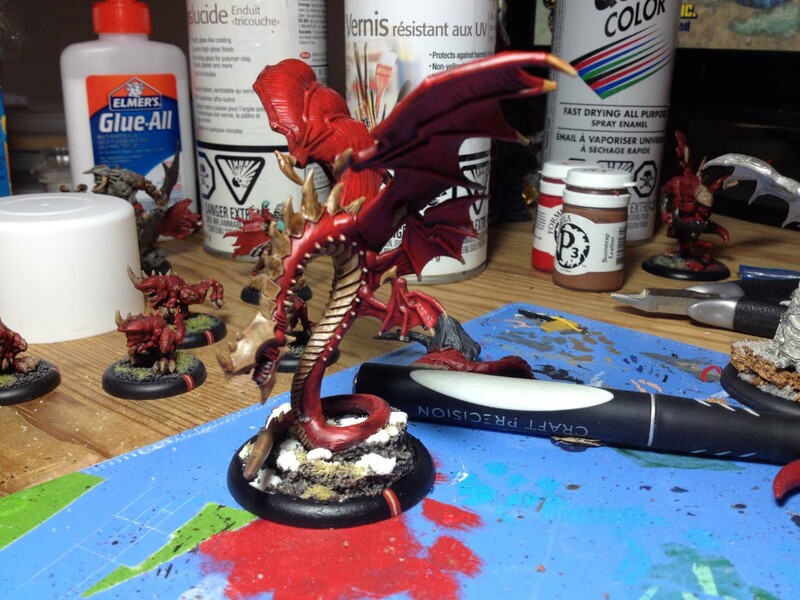 suggestions on how to be a better painter… it’s really geared towards “Tabletop Quality” work (as opposed to much more demanding “Display Quality” work), but for those of you who are beginner-to-welterweight painters, it may be entertaining and useful! Some great tips from the guys! So with the painting competition I held on Saturday over, I realized that I’ve finally gotten some of my enthusiasm for painting back. To be honest, I think the whites of Menoth were really getting me down… they’re just so much work to make look acceptable. Since I’m playing Cygnar again, though, I figured I had better finish up some of them instead! Here we see what I was painting while the competition was going on… specifically, my eHaley, pEiryss, Taryn di Rovissi, and Aiyana and Holt. So… basically all the best-loved women that play for Cygnar (and by “Best Loved”, I mean “Most Loathed by whoever is unlucky enough to be on the other side of the table”). So as I’ve stated before, I’m working on getting my two 50 point Protectorate lists painted up. If I can manage it between work, the wife and kids it will be the first time I’ll have fielded a fully painted force since I started WarmaHordes. I’ve started to get more serious with Legion. I’ve been coming up with lots of lists and most of them want at least one Angelius. Alrighty, now that the glue has completely cured overnight, I decided to add some more color! A bunch or orange and a teency weency bit of red.